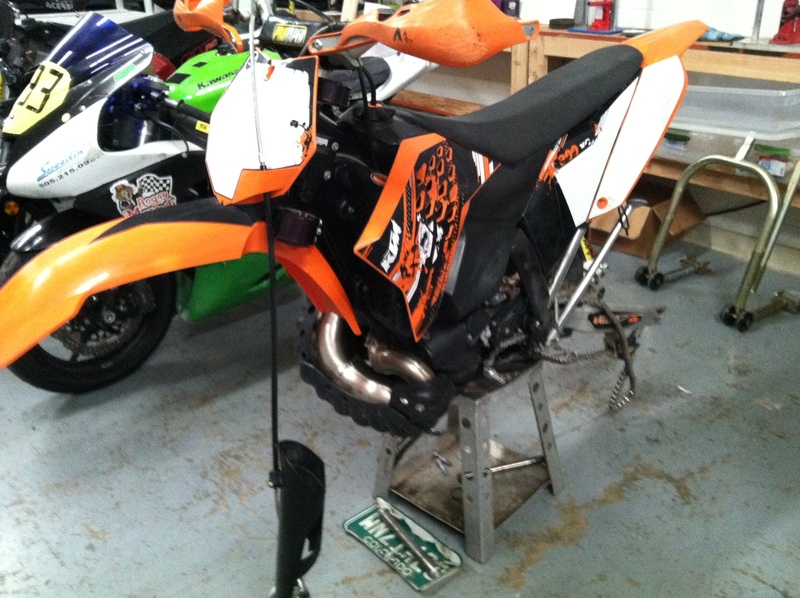 The WP suspension takes a lot of particular knowledge to get set up best. In this particular bike, the 09 300XC, we not only revalved the compression, rebound and midvalve in the fork, we changed the cartridge seal head to decrease stiction, as well as a few other things to get the fork working smoothly. Please note, in order to run 2 bar pressure in the bladder, other changes must be made to the fork to keep it from being harsh. WP forks in general require some help to be at their best and work the best for you. While inside, we deal with some limitations of the stock system installing the PFM compression valves, revalving the compression, rebound and mid-valve stacks and machine several parts to get them working properly, including pressure balancing the tubes. This is done in conjunction with polishing the lower tubes to remove any imperfections and making sure the seals and bushings are at their best. The rear shock often requires just as much machining and valving, utilizing custom made shims to help with very high speed compression damping. Both the PDS and the link shocks become much more plush.